Laila knew in her heart that marriage should be for love, not for duty. Her union with Sheik Jabril would help improve and maintain political stability in her country, as well as bring the people of her province honor and pride. And Jabril was certainly easy on the eyes. He was tall, built like an Olympian, and exuded power and masculinity. But the man was a player of the worst sort, with mistresses all over the world! 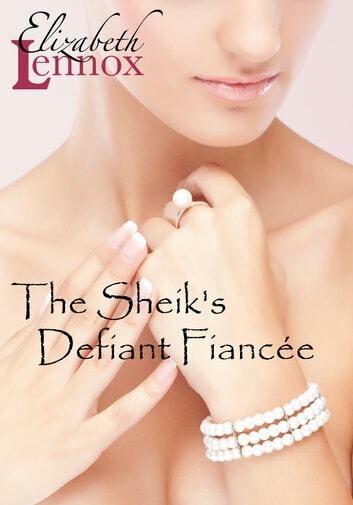 She realizes that she cannot say no to the Sheik of Surisia, so she respectfully requests that they treat their marriage like the business arrangement that it is. His response? He kisses her! Through that kiss, he demonstrates that he will not accept anything less than her full acquiescence, but she also discovers that his passion and physical presence stir something within her that she cannot control. Their first public event together convinces Jabril that he made an excellent choice for a wife. She is not only stunningly beautiful, but smart and socially adept. She will be a worthy partner to rule his kingdom, and to share his bed! Her trembling response to his touch excites him, but her suggestion that they essentially live separate lives confounds and amuses him. There is no way he will allow that. The intensity of their first kiss lingers in his memory and he will not relent until he has experienced all she can give. He wants her in his bed, every night. And he will have her! Why not read it!? It's free! Good read. Way too short.